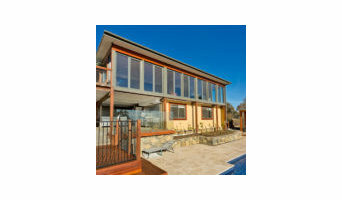 Build Professional is Canberra's multi award winning Design and Build Extension Specialist. Proudly HIA's ACT Professional Small Builder of the Year for 2015 & 2016 and home of the BDA's 2017 Building Designer of the Year and winner of the 2017 Outstanding Value for Money Project. Now into our second decade, Monarch Building Solutions has developed a reputation for innovation and quality. We're one of Canberra's most consistently awarded builders and won the prestigious Master Builders Association House of the Year and National Display Home of the Year in 2010. Find us on Facebook @MonarchBuildingSolutions Follow us on Instagram @monarch.cbr -- Monarch was founded in 2005 and encompasses all aspects of residential and commercial construction, including heritage restoration, special purpose dwellings, new commercial buildings, base building upgrades, fitouts, refurbishment projects and general building maintenance. Monarch has grown into a multifaceted organisation and is highly respected throughout the construction industry. We've worked hard to become one of the leading high-end residential and commercial construction companies in Canberra. At Upmarket Homes we’ve been designing and building custom homes and commercial premises since 1990. In the years since our humble beginnings, we’ve built a reputation for providing quality workmanship and professional service. Today, our experience extends across the entire spectrum of projects, from high-end custom builds for homes and businesses through to cost-effective builds for those on a tighter budget. We’ll take on any job, big or small. We’re proud of the fact that since the beginning, almost all of our new business has come through word-of-mouth – a sure sign of our customers’ satisfaction. Renowned for a bespoke approach to interiors , the design practice CU.DE ( COMMITMENT TO URBAN DESIGN AND THE ENVIRONMENT) was established in July 2002 by Tanya Isaacs and spans across retail, hospitality and residential projects. With a clear focus on inventive custom detail and a recognition of the limitless directions for which these design elements can be interpreted, CU.DE embraces these influences, and they are reflected in the evolving aesthetic of the projects produced. Our philosophy is based around truly understanding and respecting what the architect or client wants to achieve. We appreciate building can be very stressful. It can be a long process, very emotional, cost large sums of money that’s been saved or borrowed, sometimes for an once-in-a-lifetime project, and possibly the most expensive thing a home owner will ever do. We know much of that stress is caused by uncertainty, so we are clear with our communication, flexible in our approach, and transparent in our costing. 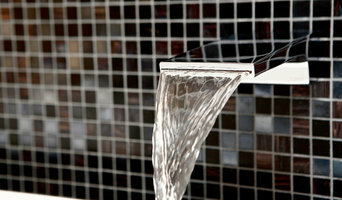 It’s a safe bet that Ewer Constructions will never be the cheapest price offered. That’s not just because we don’t cut corners, it is our ability to accurately price the work presented to us, to identify and anticipate potential issues and allow for those, and our deep experience in the industry which means we know how much it costs to do the things clients want. We take pride in the detail and thoroughness of our costing, our ability to price accurately, and the fact that we deliver within budget and our clients do not experience unexpected cost blowouts. The building process is never perfect, but the end product can be. It’s how a builder works with you to understand and interpret your vision, how flexible they can be in their approach, and whether they are experienced and smart enough to know how to deliver the solutions you need that makes all the difference. Specialising in ingress troubleshooting, waterproofing membranes and thus bathrooms, balconies and kitchens. 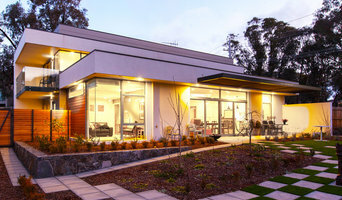 Abode Constructions & Developments are a family owned building company specialising in Custom Built Homes, Knock Down Rebuilds, Renovations and Extensions in the ACT and surrounding region. Smith & Sons Tuggeranong ACT is a family owned and run Renovation and Extension business serving the local Canberra area and surrounding NSW. We are customer focused and passionate about everything we do. 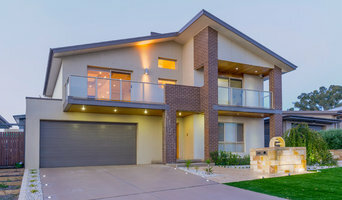 We specialise in: - Renovations - Extensions - Granny Flats - Decks - Garages & Carports - Bathroom and Kitchen Renovations - Commercial Renovations/Fitouts - Maintenance Work - Double Glazed Window Installations We believe the Canberra population is well educated and very accepting of energy efficient practices, new building systems and environmentally friendly products. At Smith and Sons Tuggeranong ACT we are proud to offer the services of a certified Green Builder and we can advise clients on energy efficiency, solar orientation and environmentally friendly products; and licensed for installation of solar panels on BCA class 2-9 buildings. We also specialise in the installation of Double Glazed Windows and Doors, and have been doing this for the last 10 years. At Smith &amp; Sons Tuggeranong ACT we are passionate about everything we do from the first contact with our customer right through to the handover of keys or sign off of the first contact with our customer right through to the handover of keys or sign off of finished project. We proudly follow the Smith &amp; Sons 3 Step Renovation Process that helps you as the customer make your dreams become your reality. M&T Outdoor Living is all about creating spectacular and innovative outdoor living and entertaining spaces. With over 25 years’ experience in Canberra’s local building industry, we have the passion and skills to ensure that your vision and ideas are brought to life. We appreciate that you are investing in your home, so we enjoy the opportunity to work closely with you from concept to completion. Doing so ensures that your new space complements your existing home and adds value to your investment. “M&T Outdoor Living did a fantastic job of designing and constructing our dream backyard.” – C. Davis “M&T Outdoor Living went above and beyond to help us, and we really appreciated it." – P. O’Mahony We continually strive to provide exceptional customer service, and undertake all design, management and construction aspects of your project. We will see that your project is delivered to the highest standard and that it exceeds your expectations. We service Canberra and the surrounding region, and South Coast, NSW. LFX GROUP COMPLETE SOLUTIONS FROM CONCEPT TO REALITY... EXCAVATE, CONSTRUCT, LANDSCAPE The LFX Group is a multi-award winning landscape and construction company. Bringing together a high level of skill across all the company divisions, the LFX Group have the ability to take an idea from concept to reality with upmost attention to quality and detail. The LFX Group is a one-stop shop for all of your project requirements. Call to arrange a quote or visit our showroom / display homes today. Firms that can carry out both design and construction in Canberra, Australian Capital Territory take on the combined responsibilities of an architect, draftsman, construction company and additional contractors, providing one point of contact for homeowners. Having one entity responsible for the entire design and build, from estimation to subcontracting and even post-construction, streamlines and often speeds up the project significantly. Having a unified project team can also help you avoid unforeseen costs and delays in construction. In addition, the homeowner only has to interpret one contract with the design and construction firm, and not with various architectural design and contracting professionals. However, depending on the firm, you may still want to contact an interior designer or architect to help create the exact look you want. Here are some related professionals and vendors to complement the work of design & construction firms: Interior Designers & Decorators, Landscape Architects & Designers, Architects, Photographers. Project management demands time, skills and an eye for both detail and efficiency. While many homeowners choose to manage their own projects, they can often regret their decision once the build or home improvement project is complete. Homeowners should carefully consider the time they have available to allocate to locating, hiring and eventually paying every contractor who enters the site. From certifiers to roofers, and even your draftsman, a firm that can undertake design and construction in Canberra, Australian Capital Territory benefits from having all of these home professionals under one roof. Find a Canberra, Australian Capital Territory design-build firm on Houzz. Scroll through this page to find design-build firms in your area. You can browse recent projects, read reviews and message the firm directly. 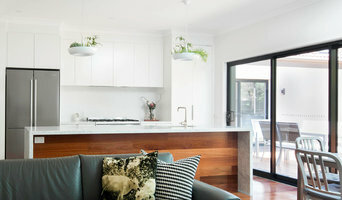 Another way to find a firm that can carry out design and construction in Canberra, Australian Capital Territory is to browse Photos on Houzz. If there’s a photo you like, find out who designed and constructed it and strike up a conversation with the professional responsible.